Public speaking, according to recent studies is the number one fear amongst most people. No wonder that those who master it stand to earn so much money. 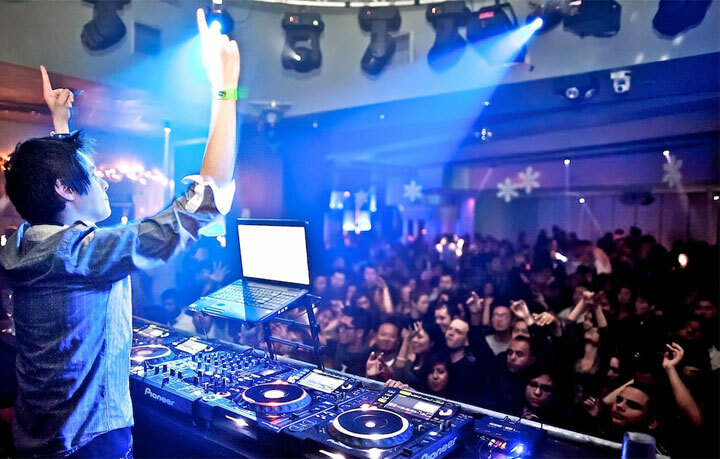 To be a successful DJ, there are certain forms of public address you have to perform. But take heart. These aren’t state of the nation speeches. They mainly boil down to introductions, toasts and announcements and the types of address you’ll be giving are fairly standard, meaning there are simple formats you can apply across most situations. One of the best techniques I have developed for public speaking is that of “operative words”, at least that’s what I call them; I am sure others have different terms. These are ‘cue words’ that remind you (or ‘prompt’) what you have to say. The following is a standard introduction that you could give at a typical function (the operative words have been highlighted for instruction). Here’s one of the key tricks of public speaking – if you had written that whole speech out (as it appears above), you would have read it word for word, sounded like you were reading straight from a script and probably never taken your eyes off the paper. That’s what happens when you try and read speeches written out in full. You sound robotic and look unnatural. All of that can be written on a cue card like the back of a business card. The beauty of this system is that the main words are listed to cue your memory, but, because not all of the filler words are listed, you don’t end up reciting them and sounding scripted. You just create them on the spot, thus sounding natural and spontaneous. When presented with a card like that, your eyes tend to bounce up and down between your audience and the words (think of it as mental tennis), making you seem far more inclusive and confident. Also, because there are so few words on the card, you don’t get lost like you can do with a paragraph of text. This technique of operative words can be applied to any speech you have to give (DJ or not). To practice, try making a few more short speeches using the technique. Incidentally, the example just shown is one of the standard introduction speeches that you can use in any DJ situation where you are called to make the introductions. Learn it. If you just stick to the formula, you’ll end up sounding natural with very little effort at all.